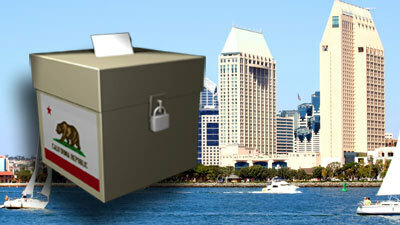 Today’s guide provides thumbnail sketches of people running for city council in San Diego. In most instances you’ll find a link for the campaign website right underneath their listing providing much more information about the candidate. By the way, TODAY is the LAST day to register to vote in this election. This year all the even-numbered City Council seats are up for grabs. The seriously competitive races are in Districts 2 and 6. Should the Democratic candidates prevail in those contests their party will maintain a veto proof majority on the council. Unless there’s some polling that I don’t know about, Myrtle Cole (District 4) and David Alvarez (District 8) should win handily. City Council races are technically “non-partisan.” (Cough, cough) Should no candidate in each district get more than 50% of the primary votes, the top two will face off in November. This is Kevin Faulconer’s old district. Lori Zapf gets to run with sort-of-incumbent status because her residence no longer falls in district 6 due to redistricting. Lorie Zapf (Incumbent, Republican) ? She started out with a number of negative issues back in 2010: anti-gay emails surfaced, questions about her sincerity as leader the San Diego Chapter of Californians Against Lawsuit Abuse given her history of litigiousness (which included suing her in-laws at one point) and doubts about her financial solvency. This time around Zapf is gaining a bit of reputation for being slippery. Held by the Pacific Beach Town Council at its monthly meeting, the debate-like event had originally been scheduled as a solo forum for Zapf who currently represents District 6. That is until Boot, who’d been trying to square off with her opponent for months, got wind of the event and scheduled a simultaneous appearance. “We definitely think that district residents should be able to ask questions and hear the candidates’ views, and we’re committed to that as many times as possible,” said Boot’s campaign manager, Laura Fink. In February, Boot publicly called for a series of debates. However, Zapf never agreed. The issue got more attention in March when Zapf was the only candidate not to attend a forum set up by the Ocean Beach Town Council. And then there’s the matter of her flip flopping on issues important to her constituents, like development along the proposed trolley extension. Sarah Boot (Attorney, Democrat) ? ? Frank Gormlie’s lengthy sit down with Ms. Boot a month back or so is probably the definitive interview on her positions and background. Getting back to the election, one of her biggest issues is what she calls “the culture of cronyism and complacency” in San Diego government. She cites “the Balboa Park fiasco” and “the waste that still there at City Hall, with the consultants”. Sarah has spent the last year getting out into the community; knocking on doors; addressing community groups. She is keeping track of the issues that are of concern for the residents of District 2. She is ready to start getting things done; she is ready to start neighborhood projects to benefit the District. She is ready to help small business merchants eliminate some of the conflicting messages coming their way when applying for permits; she is ready to be supportive and not divisive. Morrison, a property manager and past member of the Pacific Beach Planning Group, is running for City Council because he said he’s been “disappointed in the city’s direction the last 10 years. “We’ve been watching companies go, and the middle class seems to be taking a beating,” said Morrison, adding he has a five-point corrective plan. “My plan is to increase shipping for our cargo port, dedicate a rail line east to Imperial County and Arizona, expand from two to five the ports of entry along the U.S.-Mexico border, talk about trading Lindbergh Field with the Marines at Miramar and find more ways to manufacture things here,” he said. A firm believer in laissez-faire economics, Schwartz said he opposes restrictions on personal freedom like the beach-alcohol ban, insisting government is best which governs least. Myrtle Cole (Incumbent, Democrat) ? ? ? She fought a down and dirty battle in the 2013 special election to fill the seat vacated by Tony Young on his way up to nowhere. Now she’s facing many of those same opponents. The results aren’t likely to change. Cole has longtime ties to city politics. She worked in various council offices since the early 1990s, most recently as an office manager for outgoing District 4 Councilman Tony Young, as well as on city campaigns. Her most recent job, as a coordinator with the local home health care workers union, linked her with the city’s labor movement. The San Diego-Imperial Counties Labor Council, the region’s union umbrella group, and the local Democratic Party have endorsed her. Last time she ran for City Council, she finished with 8.14% of the vote. Although Lopez-Brown has lived in the 4th District for over three decades and is on the Board of Trustees for the Lemon Grove School District, the high point of her 2013 campaign was being endorsed by City Beat. Now she’s apparently made some new friends, as her name is affixed to the legal notice for the sham minimum wage initiative currently being circulated around town. This scheme would exempt most local businesses and is meant to muddle the waters around the real attempt by the city council to raise the minimum wage . The money and mojo behind this bit of subterfuge is still not known, but a shared mailing address points to the Lincoln Club’s TJ Zane. Last time he ran for City Council, he finished with 4.66% of the vote. No one doubts his good intentions. But his political skills, not so much. Last time he ran for City Council, he finished with 7.95% of the vote. Carol Kim (Educator, Democrat ) ? ? She’s the new darling of the Democratic party, endorsed by everybody from Donna Frye to Nathan Fletcher to David Alvarez. There’s plenty of indications of a sustained ground game. If elected, Kim says she’d call on her experience in working collaboratively. “All of that stuff is about trust and relationships and being honest and having people realizing that you’re not there to undermine them, but to help build them up,” she says. “I hear that it may be a little idealistic, but I think, at heart, people are people, and that’s what’s important. Chris Cate (Taxpayer advocate, Republican) ? He’s the new darling of the Republican Party, endorsed by everybody from Jerry Sanders to Kevin Faulconer to Ron Roberts. There’s plenty of GOP cash, allowing him to issue press releases bragging about the size of his war chest. The Lincoln Club of San Diego County announced today it is endorsing Chris Cate for San Diego City Council in the upcoming election. Ms. Lee likes to point out that she’s the only candidate with political experience. She previously served as a San Diego Unified School District trustee winning in a landslide after calling for then-superintendent Alan Bersin’s head. Then she lost the seat after alienating and then underestimating the political clout of the teachers union. She’s long on individual endorsements and short on organizational blessings. That same clique mentality persists with the people in charge of City Hall. David Alvarez (Incumbent, Democrat) ? ? ? He may have lost the mayoral election, but David Alvarez remains a force to be reckoned with in San Diego politics. He will win big because his district is supportive of the progressive goals he advocates for in the city council. He’s a Christian conservative who is big on saving your gun rights, lowering taxes, Oath Keepers, Sarah Palin and stopping the spread of socialism. Given District 8’s teeny Republican/conservative presence and Pickard’s far right stances his candidacy is simply the quixotic dream of an old fool. Part One of this series covered some of the important statewide offices being contested on June 3rd. Part Two took a look at federal and state legislative contests. Part three talked about the state and local propositions on the ballot. And, for even more of our June 2014 primary coverage, go here. This is an excerpt from Doug Porter’s daily column at San Diego Free Press. Mitz Lee’s “ground game ” is knowing the community she’s lived in for 33 years. She is a Filipina Navy wife who raised and educated her two sons in Mira Mesa public schools and at SDSU. She was a trustee on the San Diego Board of Education who encouraged parent participation, pressed for high academic standards and required fiscal responsibility, even from Superintendent Bersin, who resigned early. Mitz Lee is presently on the board of the Human Relations Commission and her area YMCA. Mitz worked tirelessly to have her community recognized in decennial redistricting which led to the formation of Council District 6. Along with many other registered voters, Mitz Lee is registered as a political Independent. I have known and admired Mitz for almost 20 years. She is intelligent, hard-working and amiable. She is interested in politics to advance the public interest. Unlike her opponents Cate and Kim, she is neither a carpetbagger or a water-carrier for the special interests who fund the local GOP and Democratic Party. Older Article: Lessons from Wildfires of Yore – the Perennial Blame Game: Who Started the Fires?